It’s been a hectic week for the majority of Ukrainians as something as heart-warming as celebrating the country’s independence ends in a bloody battle, leaving several civilians and local police dead. It’ was said directly from the health ministry that in total, 88 people was said to be killed that during the break-out on 18th February. 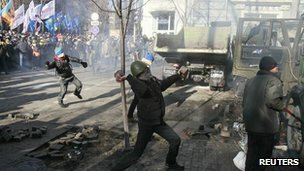 The violent act of events erupted during anti-government protests in Ukraine’s capital, Kiev, killing at least nine people, including two policemen. 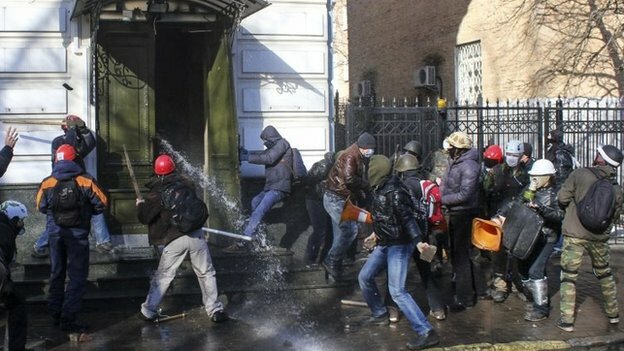 A source from BBC’s David Stern in Kiev says it is unclear what sparked the clashes – protesters and police have blamed each other. 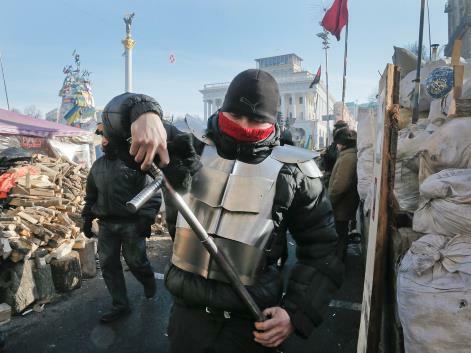 Now, Anti-government protesters in the Ukrainian capital Kiev have resorted to a variety of improvised and ingenious measures to protect themselves against the police. 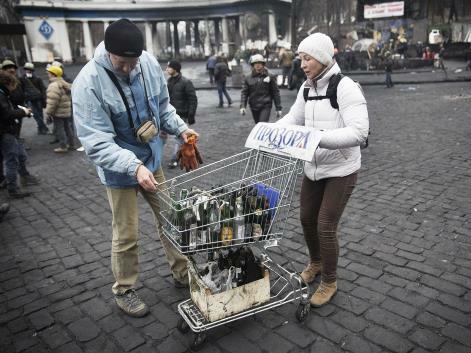 Demonstrators, who decided to camp out, have had to make ‘home-made’ weapons in order to protect themselves in case of future attacks. Armed with weapons and shielded with metal parts and padding from the rubble.